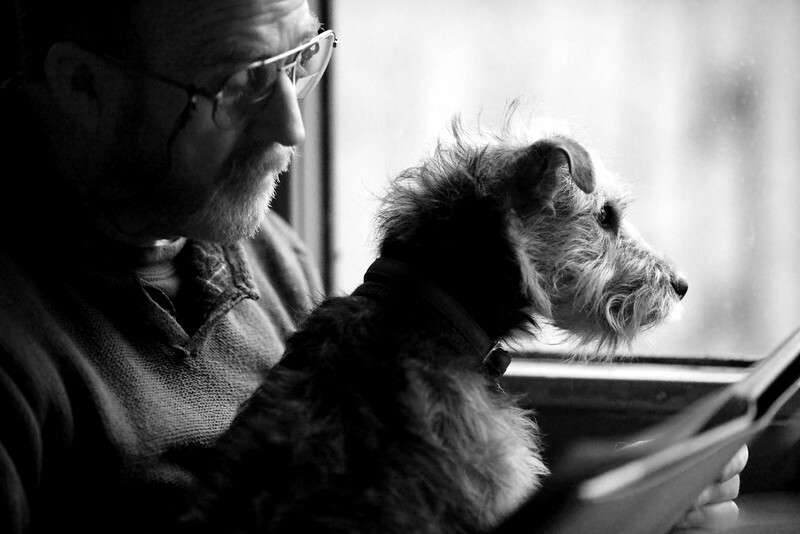 Title of image: "The Journey"
"This photo was captured on board the steam train 'Sir Nigel Gresley' and shows a gentleman with his Jack Russell Terrier cross who appears to have the perfect vantage point from which to spot rabbits. I was instantly struck by the easy, relaxed companionship between this little dog and his owner." Bruce, a classical percussionist, composer, and educator, takes his photographic pursuits seriously. 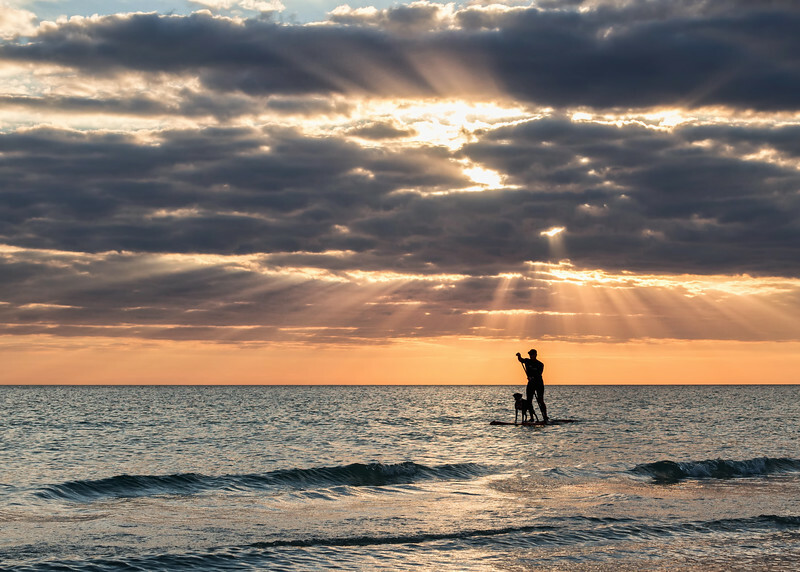 He couldn't let this Siesta Key sunset slip away without capturing it. Bruce identified with the obvious bond between paddle boarder and dog because of his own love for man's best friend. Title of image: "Home is where the dog is"
Polina captured this image in Paris, France a few weeks before Christmas. 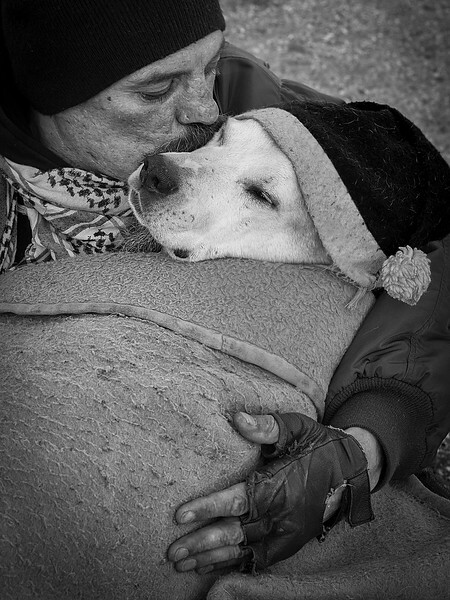 "This homeless gentleman exhibits immense love, care and affection for his dog. The dog’s Christmas hat adds a touch of humour and warmth to the image. This pair are ready for the holidays and we, the viewers, feel festive and peaceful along with them."